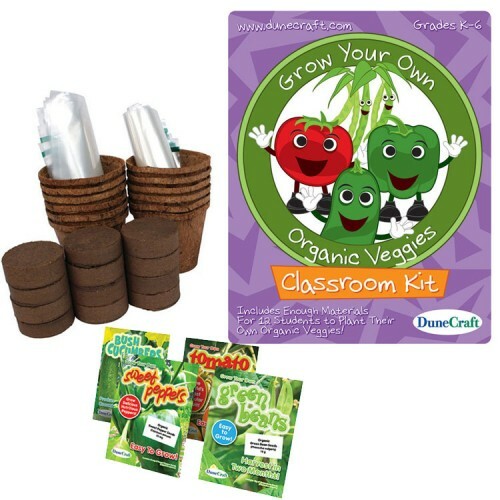 This DuneCraft classroom or homeschool science kit comes with everything 12 students need to grown their own organic vegetables. 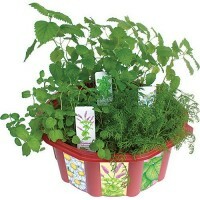 You can organize an organic veggie farm at home or in a classroom with this superb planting kit! 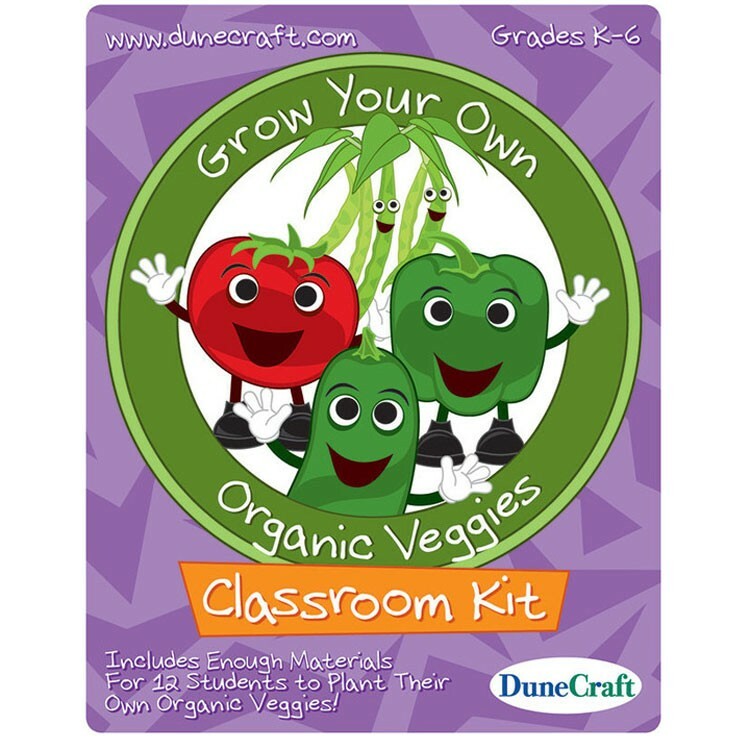 Grow Your Own Organic Veggies Classroom Plant Kit by DuneCraft comes with everything you need to start a vegetable farm and have learning experiences for up to 12 children. 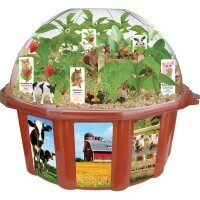 Learn how to grow green beans, tomatoes, sweet peppers, and cucumbers together with your friends. 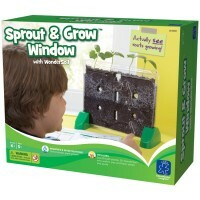 Students from grades K-6 will have a hands-on experience to grow and maintain their own organic veggies. 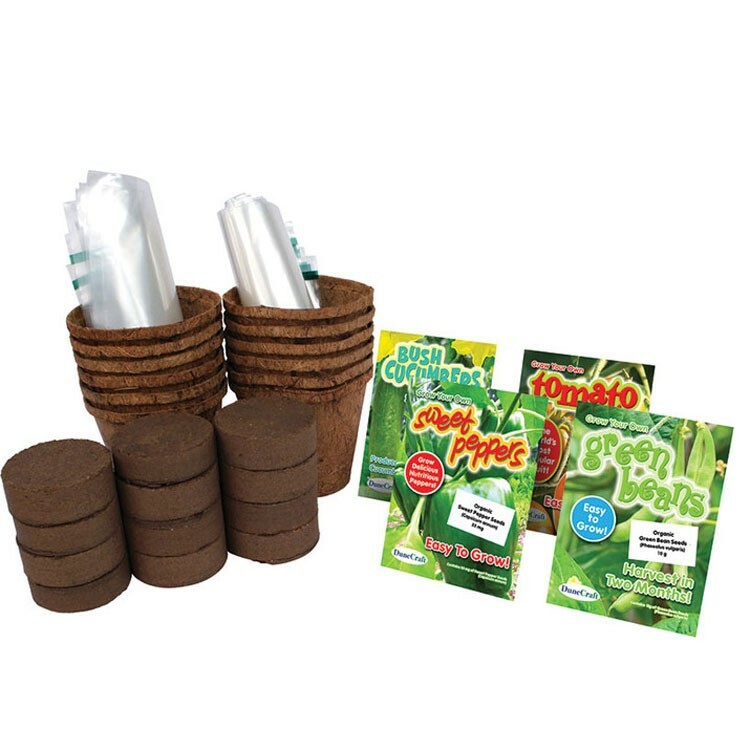 Grow Your Own Organic Veggies Classroom Plant Kit includes 260mg of bush cucumbers seeds, 125mg of tomato seeds, 35mg of sweet peppers seeds, 10g of green beans seeds, 12 biodegradable coconut coir pots, 12 germination disks, teacher guide, and student guide. 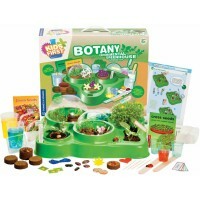 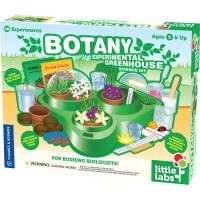 Perfect for homeschool or classroom learning, this plant growing kit from Educational Toys Planet teaches not only botany and ecology, but life lessons, too. 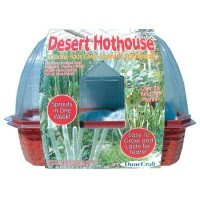 By growing your own veggies you save money at the store, preserve crops because there will be less need to grow them in the greenhouses, and get healthy eating habits. 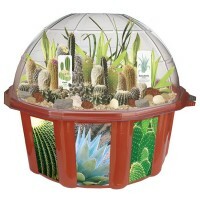 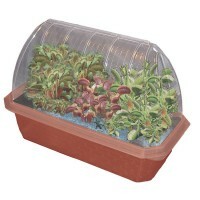 Just add water and get ready to grow your own organic veggies! 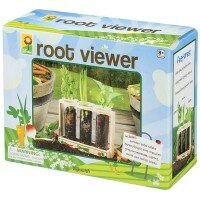 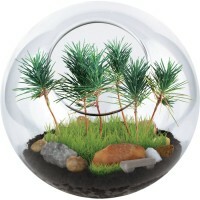 Dimensions of package 9.5" x 9.5" x 5"
Write your own review of Grow Your Own Organic Veggies Classroom Plant Kit.